mobfish receives Immersive Learning AWARD 2018 - mobfish VR STUDIO - Build your own interactive VR App! mobfish takes first place in the category “Standard Tools” of the Immersive Learning AWARD 2018. 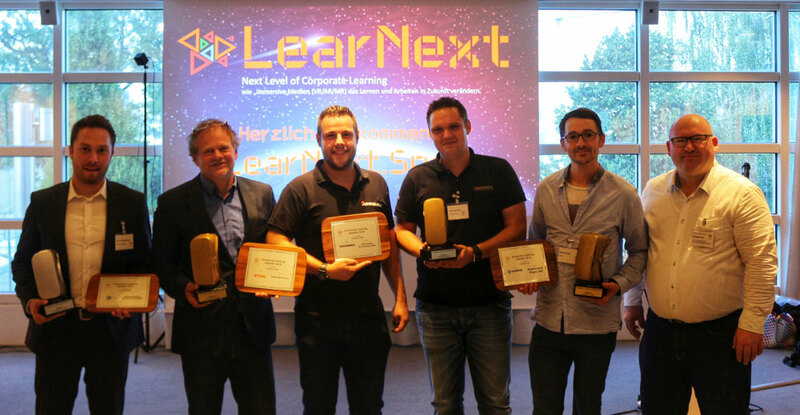 The award, a pair of golden VR glasses, was personally presented to Raphael Haus at LearNext 2018 in Hanover. At the two-day LearNext trade fair, the mobfish VR STUDIO authoring tool received a special award. Torsten Fell awarded first place for the extremely simple and fast operation of the SaaS solution. With this, extensive 360° and VR apps can be created without the need for programming. 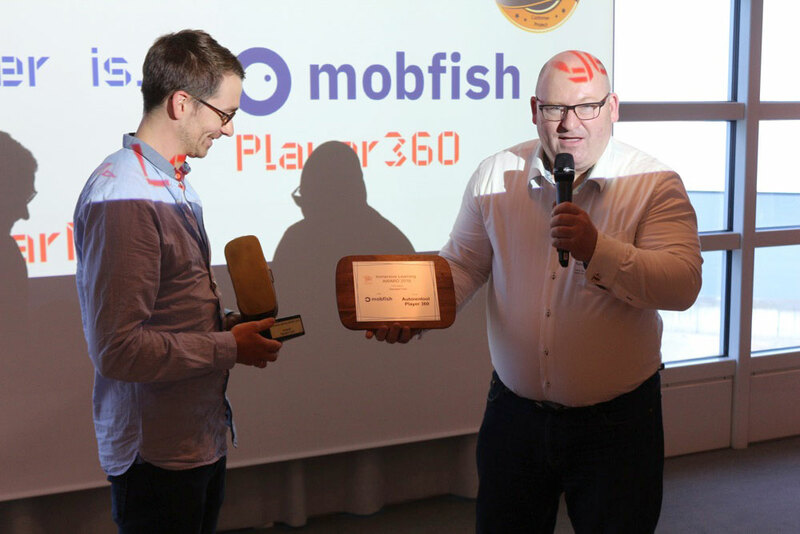 For mobfish GmbH the award is a great honour and further confirmation of their passionate commitment to the rapidly growing VR market in recent years. The tool stands out due to its simplicity and time-to-market aspect. Directly created content can be published immediately and made available to the desired target market. The mobfish VR STUDIO thus contains important functions for modern communication and learning processes. The jury will thus award a gold in the category “Standard Tool” of the Immersive Learning Award 2018. All winners and photos here!